We may sound biased, but we are unapologetic about our love for carpet! Soft, luxurious carpeting is a beautiful, functional, and economical flooring option for families with kids and pets. With so many eye-catching patterns, unforgettable textures and dazzling, fashionable colors, carpet manufacturers can provide the perfect style to fit your specific lifestyle. In fact, we carry the softest, most family-friendly and pet-friendly carpets ever. These carpets stand up to high-traffic wear and resists life's spills and stains like never before. Don't stress over dirt or spills. 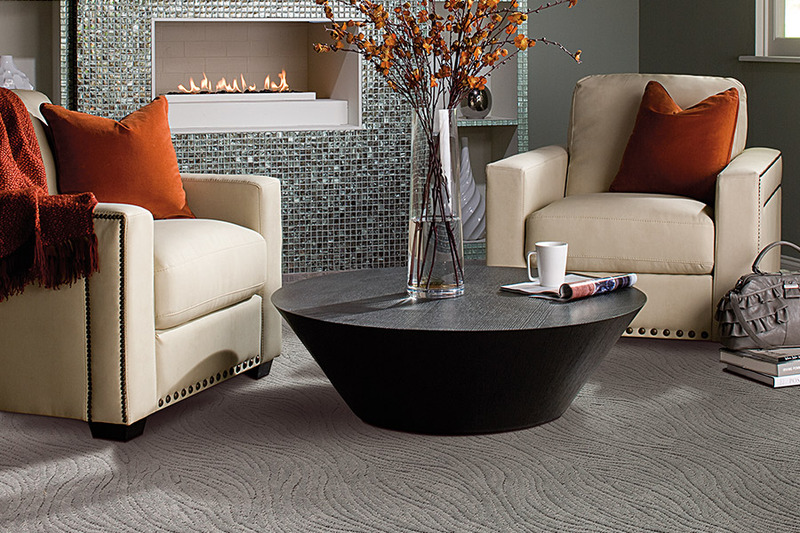 We carry incredible Mohawk carpet products including stain-resistant Eco-friendly EverStrand™. Scotchgard™-protected polyester stays looking newer, longer. Pets and kids are no match for Wear-Dated® nylon since it has been performance-tested to resist crushing and matting. Get the best of both worlds with SmartStrand Forever Clean®, the only carpet with permanent, built-in stain and soil resistance that never washes or wears off. With so many colors and textures to choose from, there's no reason to put off buying new carpet. Maybe you want to capture trendy shades of blue to make a statement, from timeless indigo and navy to of-the-moment marine tones. Carpeting made with reclaimed, recycled, and natural materials will add distinct texture and an earthy vibe. Pattern carpet will create a unique look with bold shapes, chevrons, and linear and geometric prints. Did we mention that carpeting adds warmth and comfort to your home by increasing the sound absorption and insulation, ensuring your floor is warm in winter and cool in summer? There are many carpet styles and colors available and we invite you to browse our catalog HERE or visit Stoneridge Flooring Design to view them in person.